We all know space is a premium espically when like me, you have two children. Yes one is now at school but I still need to cart round a load of stuff for him. For example the scooter and helmet, wellies, change of clothes for those I just want to get muddy days… when you add all this to what I need for a seven month old sometimes I don’t even have room for my coat in the boot. I have a reasonable size car, I don’t know how people with smaller cars cope. Then there is also the trend to city breaks with kids, we all know a buggy is a must when travelling with little ones due to the sheer volume of walking involved. 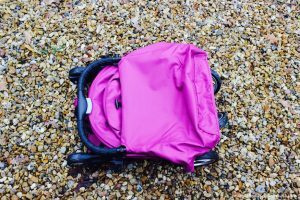 The thought of having to lug a buggy as well as bags to the airport for a just few days has always put both me and my husband off. Yet we were avid travellers before having kids. We actually brought a little stroller for going on holiday with… But its hardly little, in its bag its the same size as my husbands golf clubs. Its difficult to carry when you have hand baggage, babies, suitcases etc The straps are long so it swings around over your shoulder, taking out the odd passer by regardless of how careful you are. Sound familiar? 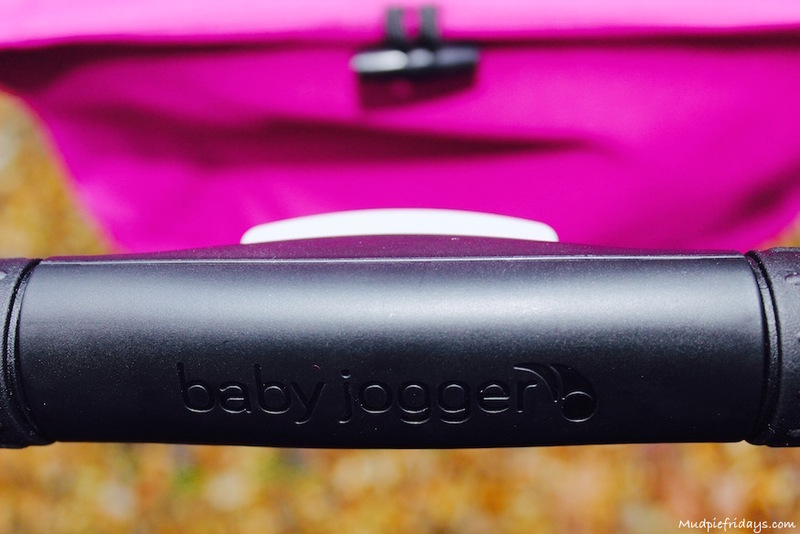 The wonderful design team at Baby Jogger have come up with a solution to these two problems. 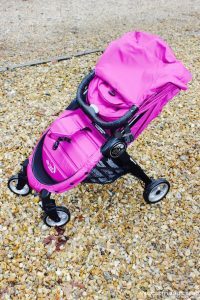 Yet unlike other compact strollers in this space they have created a sturdy, robust and comfortable pushchair. The City Tour Stroller arrives in such a small box I actually wondered if they had sent me the right thing. You do not need the instruction manual to assemble it, although there is one with pictures and descriptions. All you need to do is pop the four wheels on and you are off. 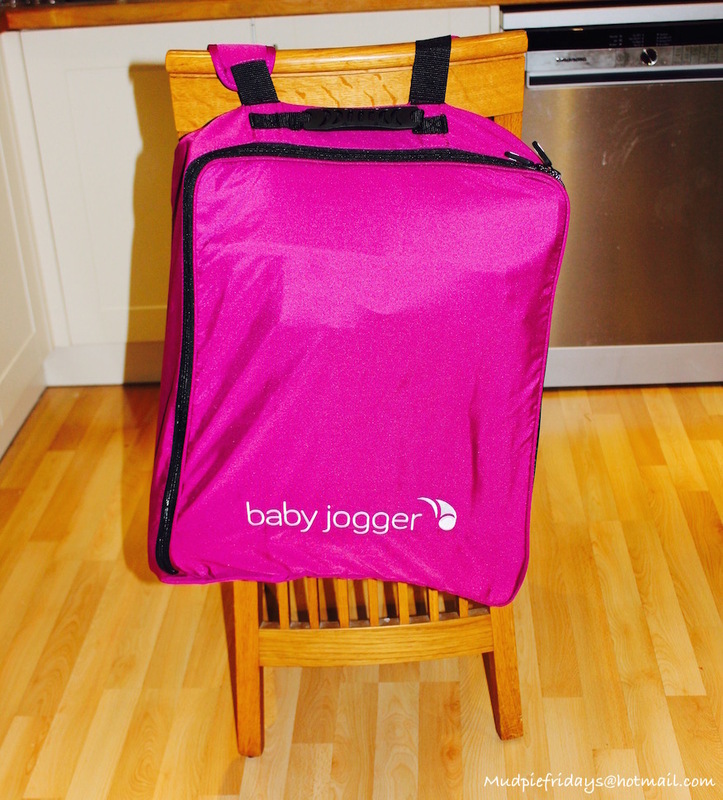 The buggy comes with a travel bag which is a rucksack, its designed to fit into over head lockers. Its takes the buggy with the wheels on so theres no faffing around. Even for someone with a small frame like me (5ft 1) it fits comfortably on my shoulders. 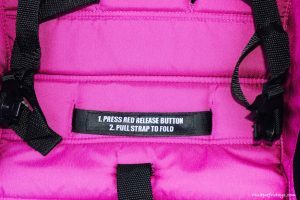 They have even included a rubber carry strap to make it easier to carry one handed if you didn’t want to put it on your back. Not that its really needed as the whole thing weighs less than Kipper at 14lbs. 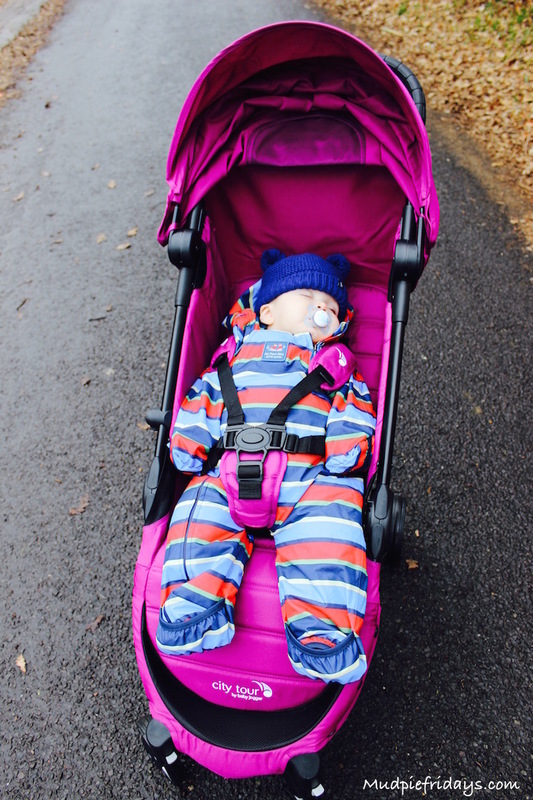 The thing I really loved about my previous Baby Jogger was how easy it was to take up and down. I am please to say this is just as easy. There is a three step process which you can do with one hand with a reasonable amount of practice. Step 3 – Pull up the ‘Pull to Fold’ strap in the centre of the seat which will cause the other half of the buggy to fold. It literally takes seconds. 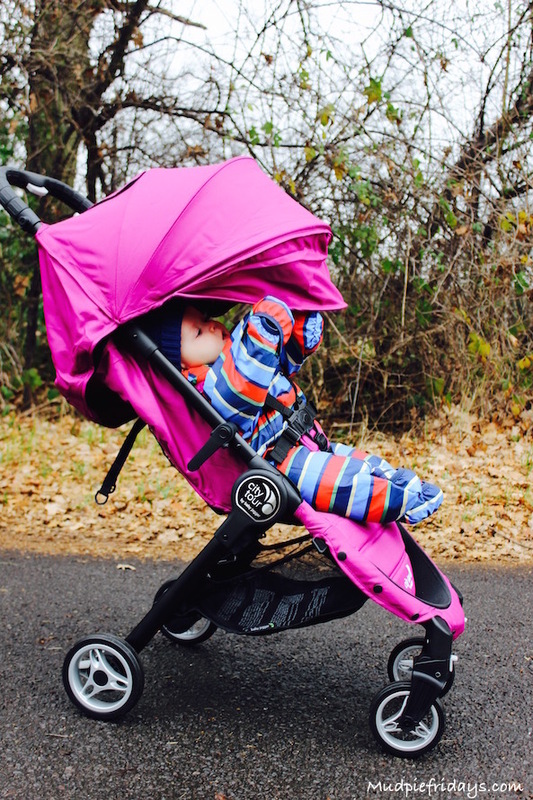 Now you could be mistaken for thinking that a small compact, travel friendly, quick to fold buggy doesn’t have any additional features. Wrong. 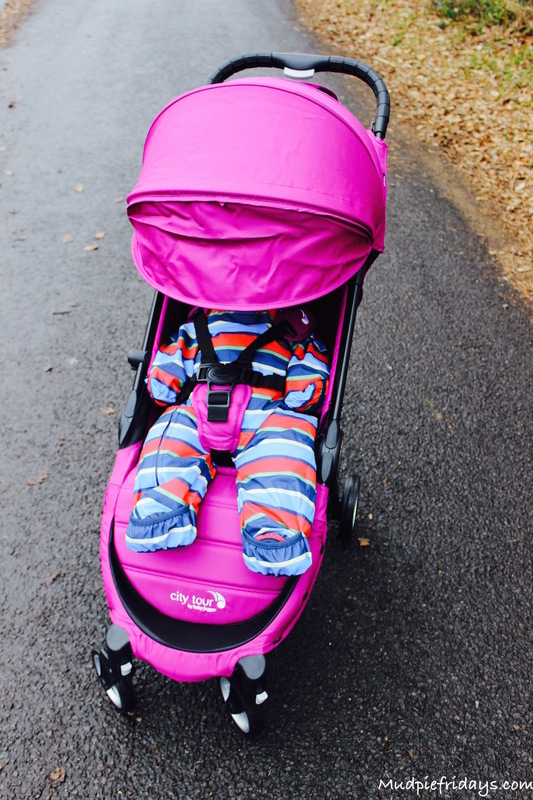 Okay so there is no buggy bar or rain cover but you can buy these separately. However there is a a really good hood with sun visor that is SPF 50+. 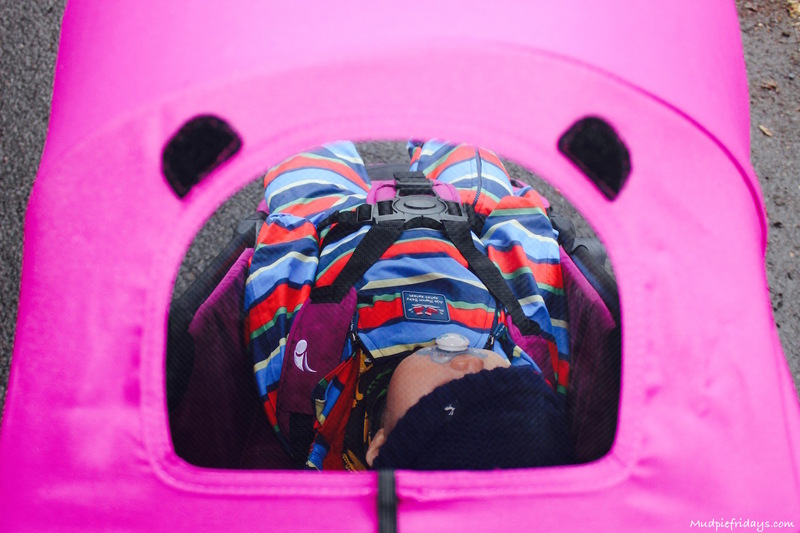 I also really like that there is a little window at the top so you can check in on baby while they are sleeping. 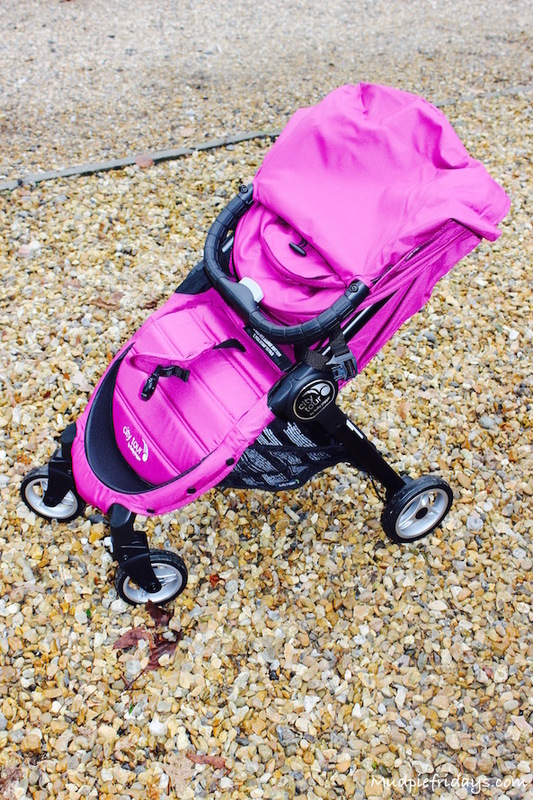 The basket is a reasonable size considering the size of the buggy itself, you could easily fit in a bag of shopping. 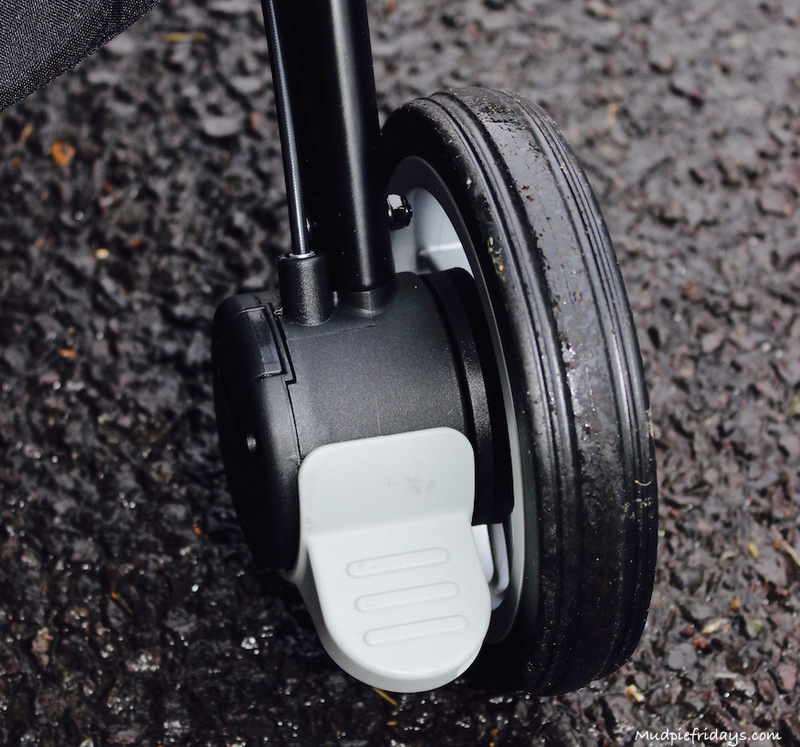 It copes well with our gravel drive and its manoeuvrable with one hand thanks to the swivel wheels at the front. 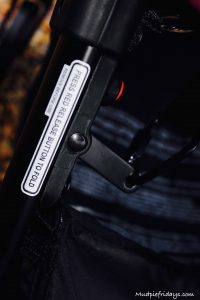 They have also included a locking mechanism to fix them in the forward position. The brake feels secure when you apply it, unlike others we have tried out. 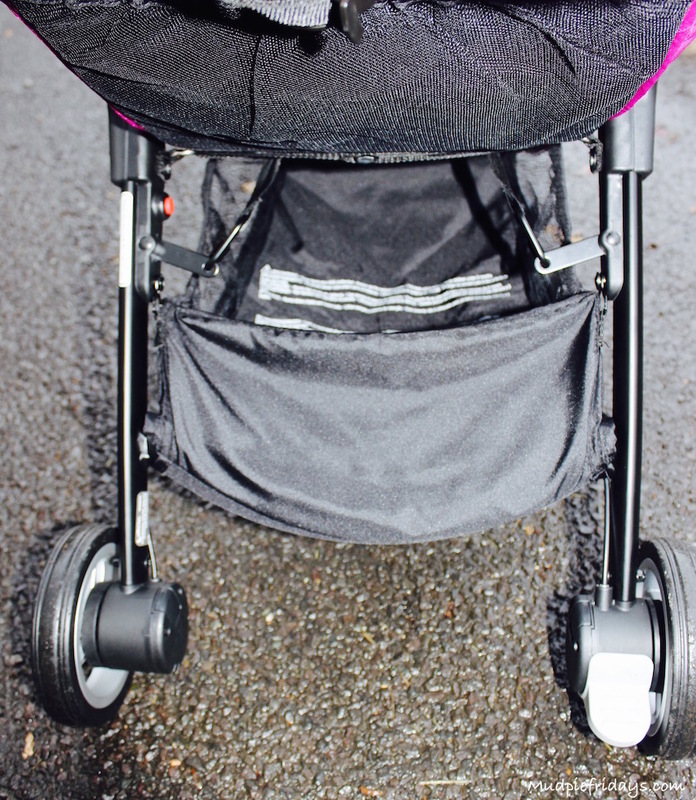 Kipper at seven months is right at the beginning of the age range for this stroller. Its aimed at six months to around about three years. He is perfectly comfortable in it. 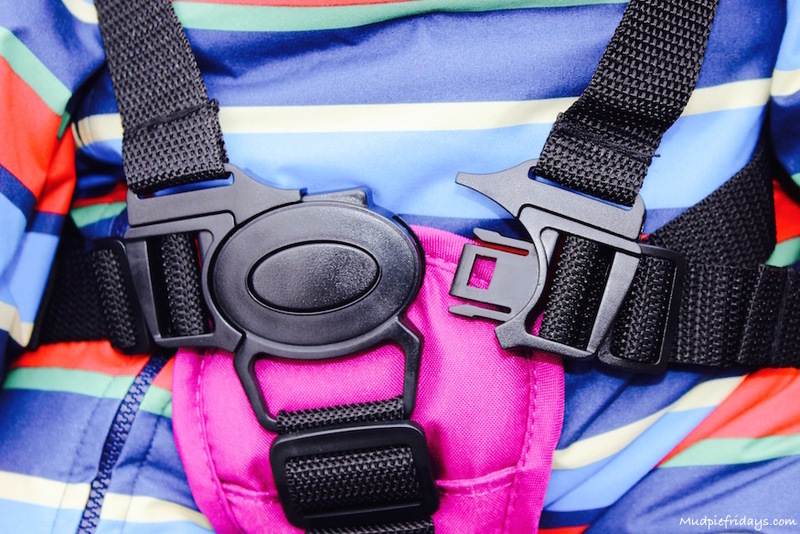 The seat reclines enough to allow him to sleep comfortably and can be secured up and down with a clip at the back. You do need two hands to be able to put it up once the baby is in the buggy. 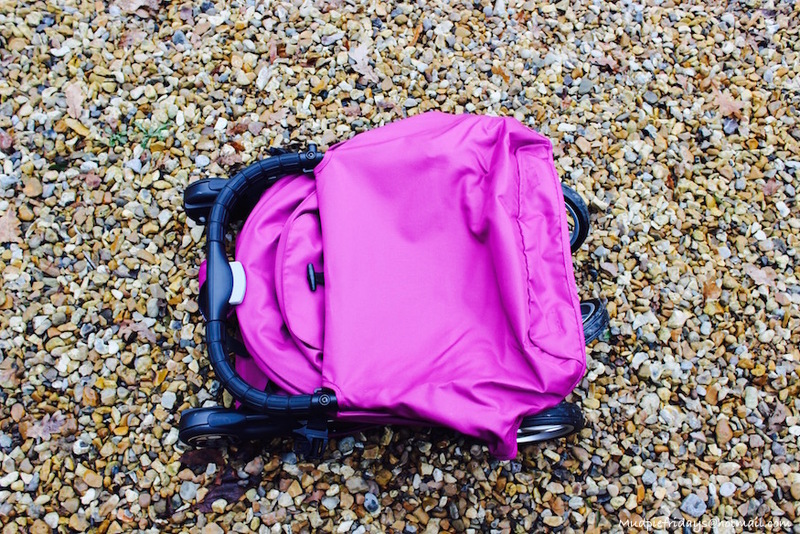 It comes in three colours, we have the Violet (cerise) but its also available in Onyx (back) and Juniper (green/turquoise). 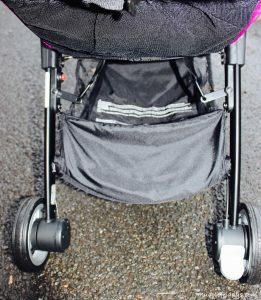 I really would recommend this to anyone looking for a light weight stroller. It will without doubt make our trips to the beach a lot easier in the Summer. But rather than wait till then, because I am feeling a lot less daunted. 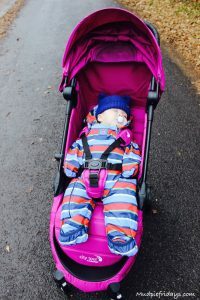 I’m going to book our first city break with both kids next Spring… Thank you City Jogger for giving us back our freedom. How small it is and the bag its genius. It makes it so portable it really is a game changer! 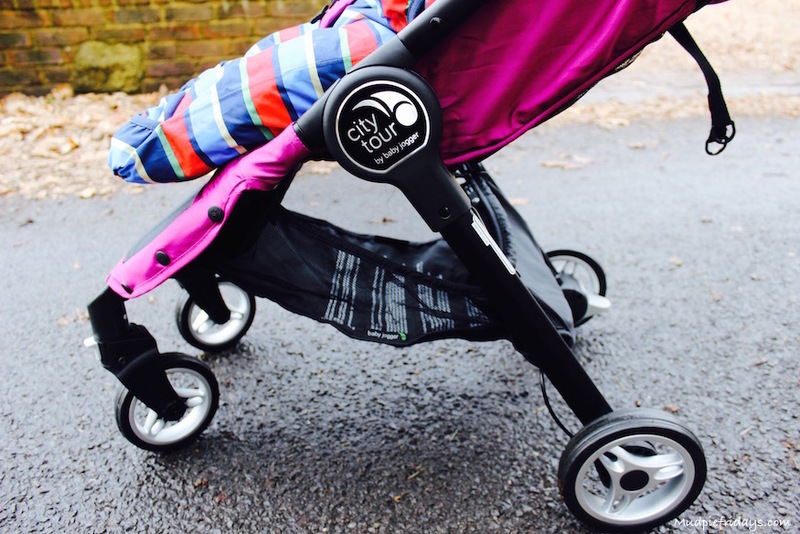 You can find out more about the City Tour on the Baby Jogger website including YouTube clips and where to find your nearest stockist. 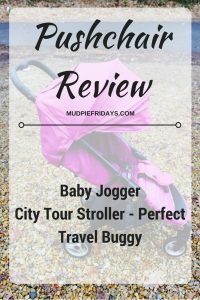 This is a collaborative post, we were given a Baby Jogger City Tour for the purpose of this review, all opinions are my own. This looks fab and I love that it folds away so small. We currently have a babyzen yoyo but if it ever stops working I’ll probably purchase this bad boy. Great review. Looks like a great stroller. I love how small it folds up. That’s the one thing my buggy can’t do. Wow I can’t believe how small this folds up! Amazing! 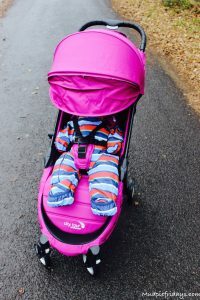 We have a really big buggy (which was great when we were using it everyday, but now LO is 2yrs old, we only need it for trips out, which of course is when you’ve got loads of other stuff with you and you can’t fit a big buggy in the boot!). This looks like a great alternative! What an adorable baby! I could hardly concentrate on the stroller! 😀 But I’ll be coming back to study this post soon as there is a dear friend’s baby shower coming up soon. 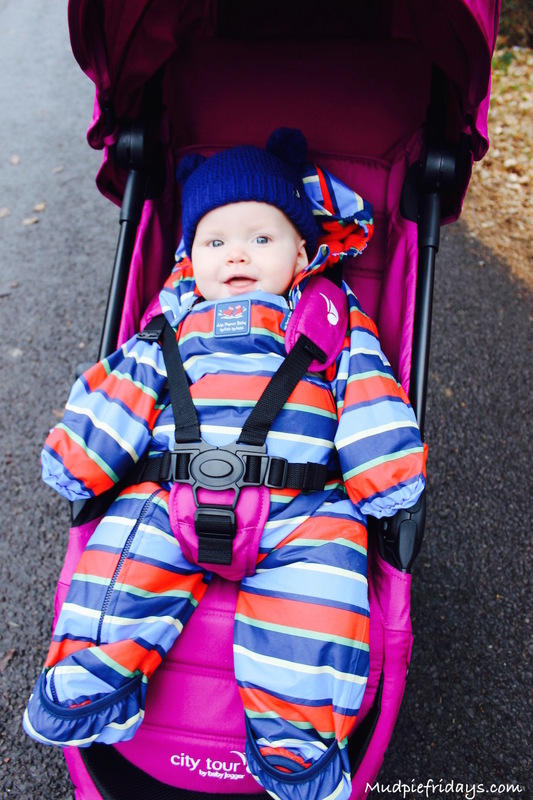 When my kids were younger I was a little obsessed with pushchairs in the same way as some women are with shoes. I would buy one, use it for a few months, sell it and buy another with the money. 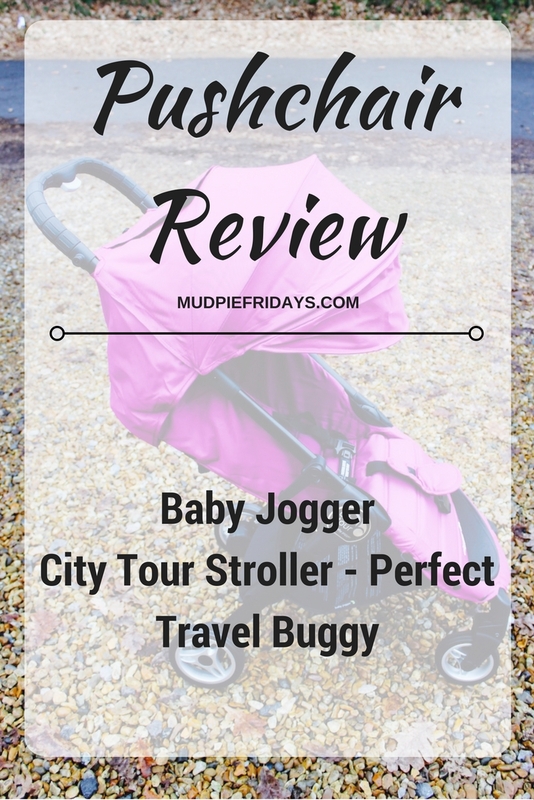 I’ve heard really great things about the city jogger but it was one I never got round to trying which is a shame because I think I would have liked this one. I especially like the colour. This looks great. I can’t believe how small it is when it’s all packed away. It’s perfect for travel. Enjoy that break! 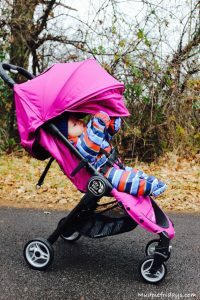 What is stroller color name? Violet or special edition? I want same stroller ???? I love the look of the Tour but contacted Baby Jogger to find out if there is a compatible footmuff and they advised unfortunately not. Surely this is going to be a problem for people? Am assuming it’s down to its small folding size that their universal one doesn’t fit.